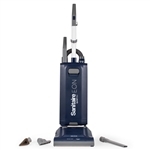 Discount Cleaning Products offers a large selection of Sanitaire Commercial Vacuum Cleaners. 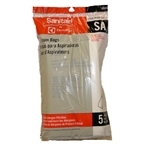 Sanitaire vacuums are a staple in the commercial cleaning world. Sanitaire vacuums have built a reputation of high performing, durable and long lasting vacuum cleaners. You will find Sanitaire commercial vacuums being used in many building maintenace crews, hotels, schools and maid cleaning services. With a full line of vaccums that include, Sanitaire Uprights, Cansiters, Extractors and more; Sanitaire is the brand to start with when looking at a commercial vacuum!